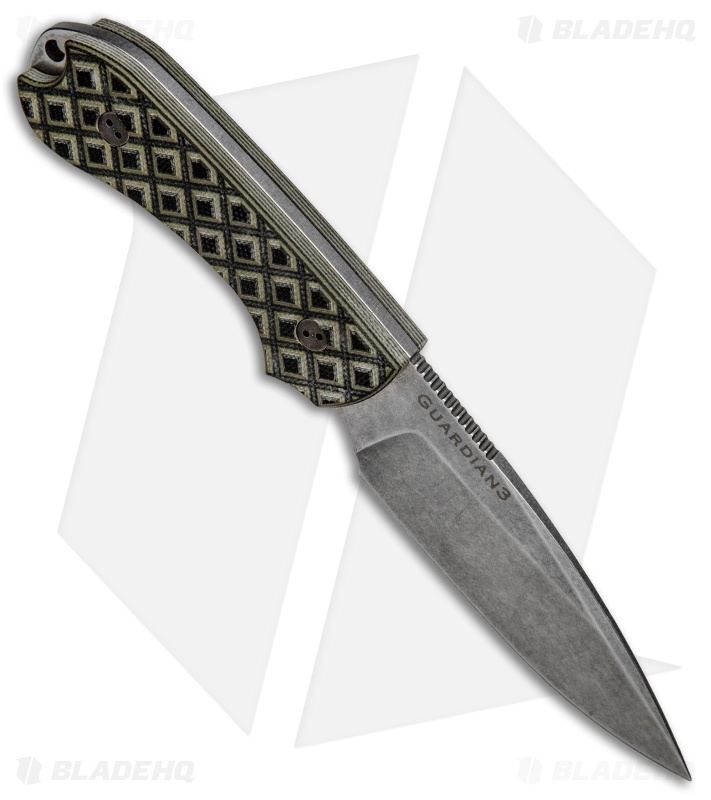 This Guardian 3 model has a stonewashed blade with a false edge grind and OD Green G-10 scales. 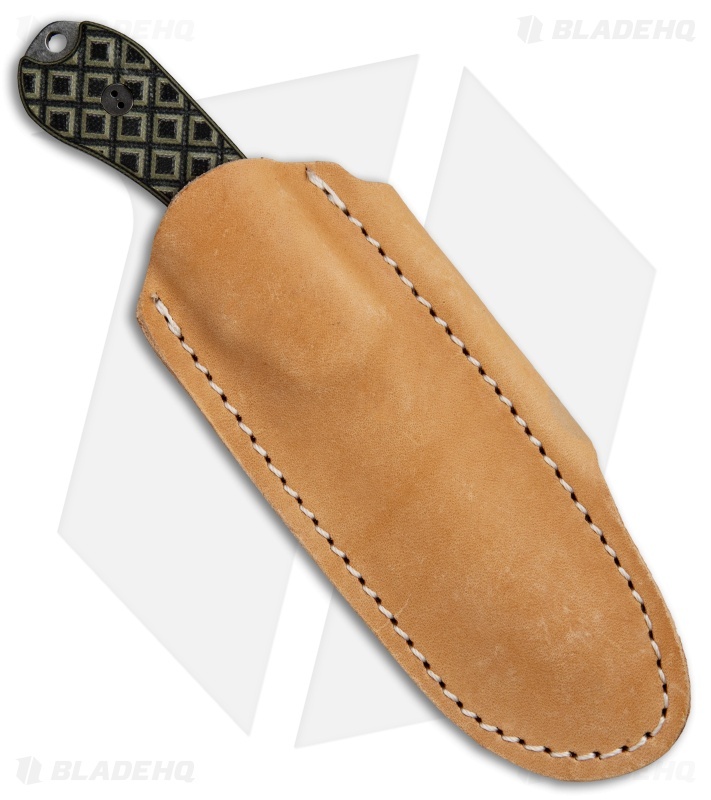 The Guardian3 is a relatively compact fixed blade that is designed to handle the work load that might typically fall upon a heavy duty everyday folder. 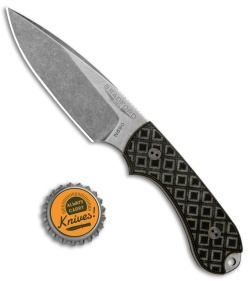 Bradford Knives uses Bohler N690 steel with a double temper and cryo treatment for exceptional blade characteristics. Machined G-10 scales offer extreme grip without being abrasive. Each knife includes a premium leather sheath with belt loop and plastic blade insert.